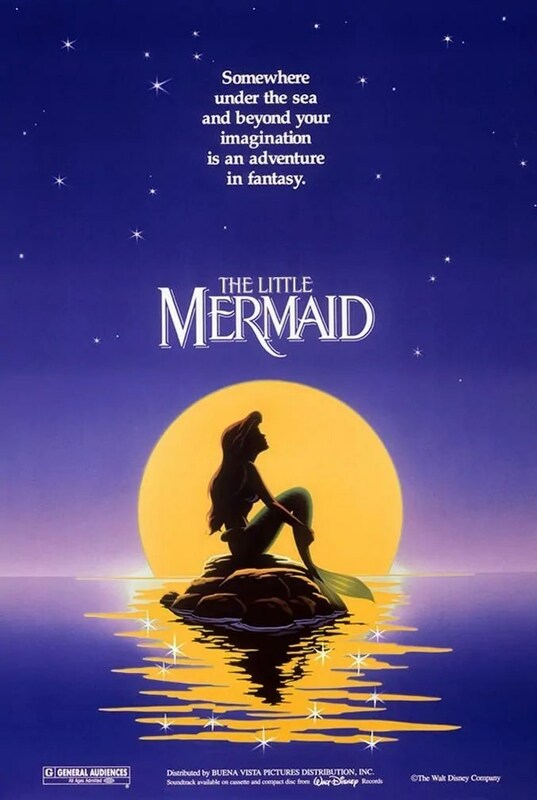 Another weekend where we are away, so rather than a post about one of my favourite Disney Movies, I’ve compiled a list of Disney movie trivia – one for each of the 54 Disney Animated Classics. 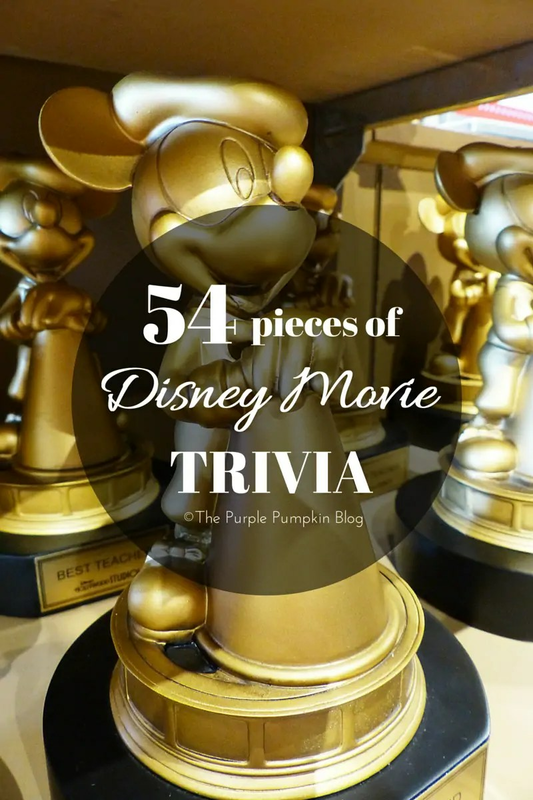 I love movie trivia, and it’s only natural I would love Disney movies trivia! The hardest part of this post was picking just one for each film! Other named considered for the dwarfs included Busy, Crabby, Daffy, Dumpy, Flabby, Helpful, Lazy, Scrappy, Sniffy, Snoopy, Stubby, Thrifty, and Wheezy. The first Disney feature available on DVD. The first American film to use stereophonic sound as well as the first and only film recorded in Fantasound. During production there was a long and bitter animators strike, in which half of the studio’s staff walked out. Some of the strikers are caricatured as the clowns who go to “hit the big boss for a raise”. 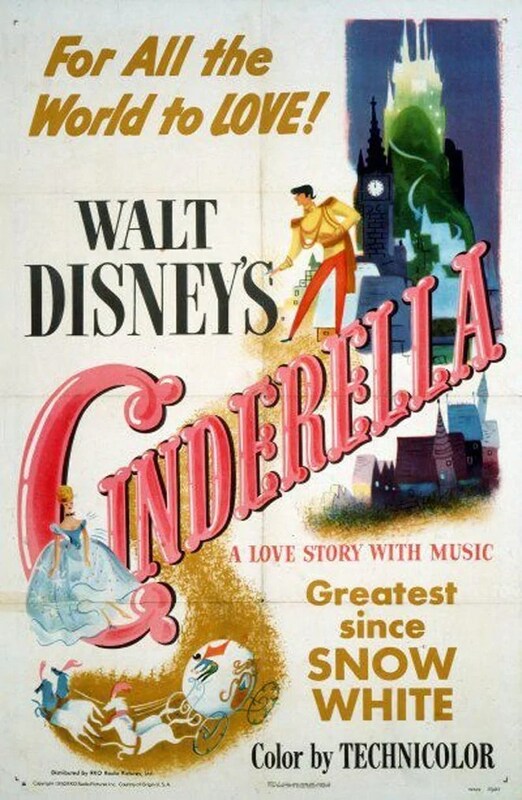 The last full-length animated feature made by Walt Disney until Cinderella (1950). The gap was due to the lack of film workers (who were in military service) and materials necessary to make films when WWII was going on. This was the first Disney Animated feature to be shown in South America before it was screened in the USA. Held its world premiere in Mexico City on December 21, 1944. One of Disney’s four “Package Films”. During the Second World War, the studio lost a lot of manpower and resources which left them with countless unfinished ideas too long for shorts, too short for features. So, inventive as they are, they stuck short ideas together into feature length movies. The other three were The Adventures of Ichabod and Mr. Toad (1949), Melody Time (1948) and Fun & Fancy Free (1947). This was the last time that Walt Disney did the voice of Mickey Mouse. Much of it was recorded in the spring and summer of 1941. Because of the controversy about smoking, the “Pecos Bill” segment was heavily edited for release to DVD. During the live-action sequences in the library, the narrator mentions King Arthur and Robin Hood among other stories. Disney would eventually make these two with The Sword in the Stone (1963) and Robin Hood (1973). Cinderella actually loses a shoe three times in the film: first, when she delivers the breakfast trays (causing Lucifer to look under the wrong cup); second, when she is running from the ball; and third, walking down the steps with the prince. This movie is actually a combination of Lewis Carroll’s two “Alice” books, “Alice’s Adventures in Wonderland” and “Through the Looking Glass”. Though the film was extremely successful, Walt Disney himself was dissatisfied with the finished product, feeling that the character of Peter Pan was cold and unlikable. However, experts on J.M. Barrie praise this as a success, as they insist that Pan was originally written to be a heartless sociopath. Walt Disney originally didn’t want to include the ‘Bella Note’ spaghetti-eating scene, now one of the most iconic moments in the whole Disney canon. The running gag where two of the fairies argued about what color Princess Aurora’s dress should be (pink or blue) comes from the filmmaker’s problem as to deciding just that. Xerox was a crucial help in the animation of hundreds of spotted dogs. Disney was able to bring the movie in for about half the cost thanks to this process. 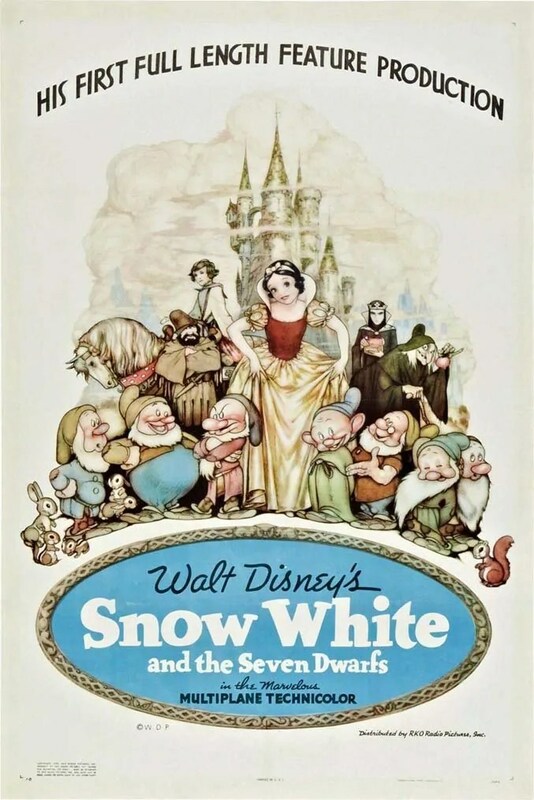 The only animated Disney movie from the 1960s not to have a Platinum DVD, a sequel, a TV show, or a live-action remake. Walt Disney died during production of this film. Many people wondered at what the studio’s fate would be, particularly the animation division. The film performed extremely well at the box office, ensuring that the animators would not be put out of work. Had the film failed, it is likely that animation would have been closed down at the Disney studio. The Aristocats was inspired by the true story of a Parisian family of cats, circa 1910, that inherited a fabulous fortune. The famous gap on Terry-Thomas’ teeth was incorporated into the design of the character he voices, Sir Hiss (it makes a handy opening for his forked tongue to dart out). This is actually made up of three classic Winnie the Pooh shorts: Winnie the Pooh and the Honey Tree (1966), Winnie the Pooh and the Blustery Day (1968), and Winnie the Pooh and Tigger Too (1974), all edited together with animated wrap-arounds with Pooh and Piglet between each feature. This was the first Walt Disney animated feature to inspire a sequel. 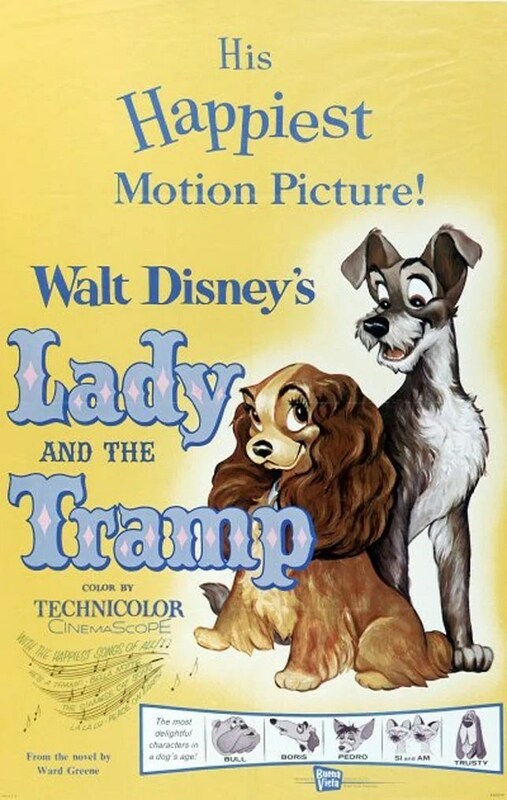 The first Disney animated feature to not contain any songs, neither performed by characters or in the background. Production took only one year to complete thanks to the use of computers. Dom DeLuise had already had roles in several other animated films by this point, but this was the only time he got the chance to voice a character in a Disney film. He loved the role so much, he kept ad-libbing lines that ended up being included in the film. In the opening scene when King Triton arrives at the arena, you can briefly see Mickey Mouse, Goofy, Donald Duck and Kermit the Frog in the crowd of sea-people as mermen when he passes over them. The least successful film released during the Disney Renaissance. 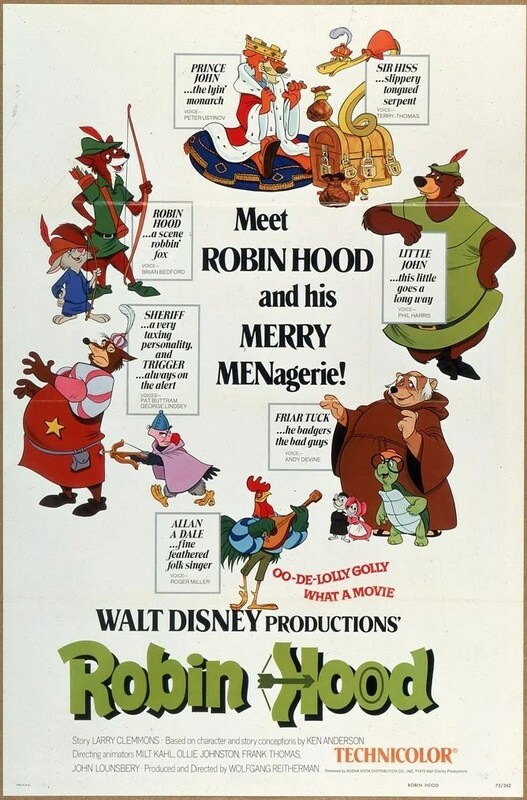 The first Disney animated feature to have a pop version of the film’s main song play over the end credits. The Genie’s celebrity impersonations are (in order): Arnold Schwarzenegger, Ed Sullivan, Groucho Marx, William F. Buckley, Señor Wences, Robert De Niro, Carol Channing, Arsenio Hall, Walter Brennan, Mary Hart, Ethel Merman, Rodney Dangerfield, Jack Nicholson, and Peter Lorre. For release in India, Disney replaced the game show host with a cricket commentator. The wildebeest stampede took Disney’s CG department approximately three years to animate. A new computer program had to be written for the CG wildebeest stampede that allowed hundreds of computer generated animals to run but without colliding into each other. The first animated Disney movie to have an interracial romance. The song “Hellfire” is considered one of the darkest songs written for a Disney film. It was nearly cut from the film. 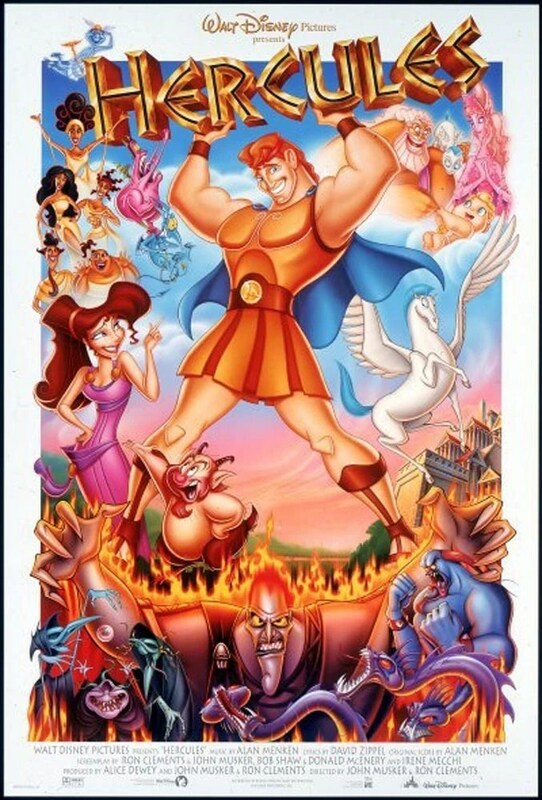 While the movie is about Greek myths, Hercules is actually the protagonist’s Roman name. Heracles is his Greek name. 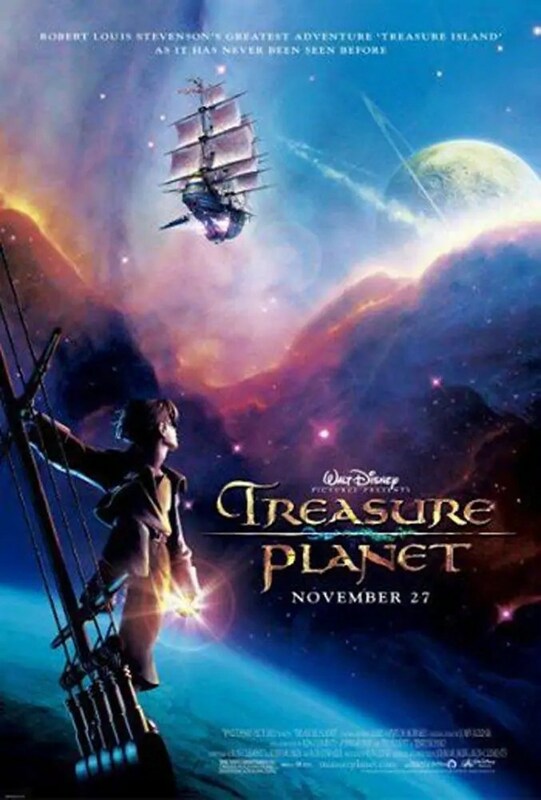 This was the last Disney Animated Feature film to contain Musical Elements after a Decade’s worth of Disney Animated Musicals (the only exception being The Rescuers Down Under in 1990), up until The Princess and the Frog in 2009. Phil Collins was chosen to provide the music as a deliberate move away from the Disney “showtune” formula. Unveiled just after the clock struck midnight on Dec 31st 1999, making it the first film to be released in the new millennium (pedantry over the date of the beginning of the millennium notwithstanding). In order to separate this from the similar movie The Land Before Time (1988), the film was intended not to have any dialogue at all, but Michael Eisner of Disney insisted they include it. Patrick Warburton improvised when Kronk hummed his own theme song when he was carrying Kuzco in the bag to the waterfall. Disney legal department had Warburton to sign all rights to the humming composition over to them. Marc Okrand, who created the Atlantean language, also created the Vulcan and Klingon languages for the “Star Trek” series. 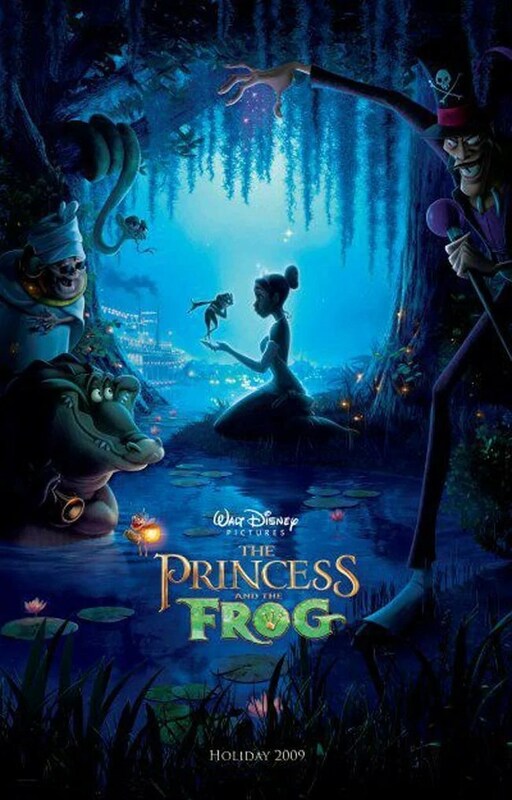 Along with The Princess and the Frog (2009), this is one of only two films from the Walt Disney Animation Studios released in the 2000s to meet with critical praise and make its money back in its initial theatrical run. Took 10 years to make and as of 2011, Disney’s biggest financial loss. Total cost: $180 million (including $40 million for advertising). Total worldwide gross: $101 million. Total loss: $79 million. The third and final film to be fully produced at Disney’s Orlando, Florida animation facility at the Walt Disney World Disney-MGM Theme Park (after Mulan (1998) and Lilo & Stitch (2002)). This studio was shut down in March 2004 in favor of computer animated features. The first Disney animated movie in Disney Digital 3D. When Wilbur is revealing his family, he says his dad (who is not pictured) looks like Tom Selleck. Tom Selleck indeed provides the voice for Wilbur’s Dad. The first Walt Disney Studios film produced under chief creative officer John Lasseter’s management. 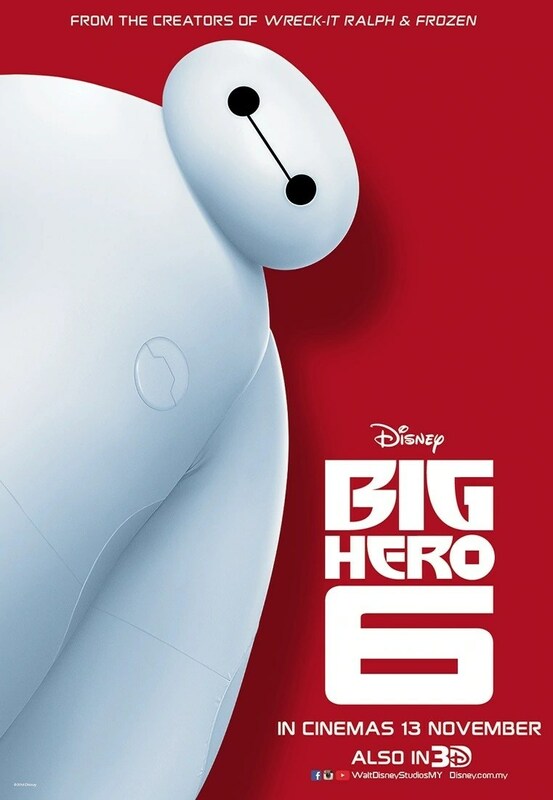 This was the first Disney Animated Feature since Mulan in 1998 to be a Musical. The descending lantern that Rapunzel lifted back skyward was the one her parents, the king and queen launched from the palace veranda. It was the only one with the royal symbol of the sun on it. This was the last film from Walt Disney Animation Studios where the characters were drawn by hand. Beginning with the next film Wreck-It Ralph (2012) (and other movies after that.) The studio now does computer animated films. Several popular video game characters make an appearances in this movie, including but not limited to: M. Bison, Zangief, Ken, Ryu, Chun Li and Cammy from the Street Fighter (1987) Series; Q*bert (1982) and his cast of enemies; Pac-Man (1982) and the orange ghost Clyde; Bowser from the Super Mario Bros. (1985) series; and Sonic the Hedgehog (1991) and Dr. Eggman. This is the first Disney film to only show the title of the movie at the end and not the beginning. Thanks for reading Day 18 of 100 Days of Disney 2015! 82 to go! Come back tomorrow for another Disney post!